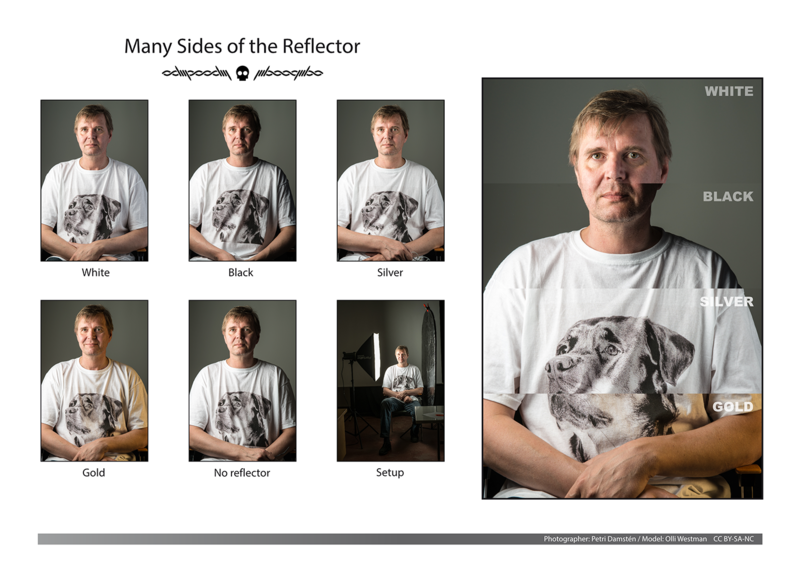 We took some photos and tested how reflector shows in a photograph. We had a big 5 in 1 100x150cm oval reflector in camera club studio that has white, black, silver and gold sides. Here are the results (PDF).